This Mistic Replacement E-Cig Battery is a fully rechargeable lithium-ion battery that fits all Mistic e-cig refill cartridges. Perfect for replacing an older battery or for making sure you always have a fully charged battery for hours of uninterrupted vaping. Available in white or in blue. This product works with our battery chargers as well as any Mistic e cig cartridge. I have bought lots of batteries very few of them have been no good, I have been satisfied with every thing that I have tried so far and would tell anyone to give them a try! getting hard to find in stores! Can’t find batteries in any stores in Bullhead City, Az. In fact the mgr of Walgreens asked if I knew where he could get them. I have used many E cig batteries and always have been satisfied with them. Good product, E cig batteries have always lived up to expectations. great product good taste and great prices. 5 years ans still no traditional cigs.. I have been using Mistic Products including the batteries for at least 5 years. I am very pleased with the products and the customer service. It has been a very good alternative to smoking. Thank you Mistic personnel and keep up the good work. I have used E cig batteries for nearly four years and have had no problems at all. They are hard to find even in the stores that would normally sell them. I have used e-cig batteries for nearly four years and the only problem I’ve had is finding them. Even the stores that normally sell them are out. I have used them since 2014 n have no problem with them . Just wish they where still white. I preferred the white ones that came with the original starter kits. The hole in this replacement E cig Battery is not as large as the originals and therefore you don’t get the same flow. I have to really drag on it to get the right feel………………. I have been using Mistic E-Cigs for almost 2 years and have not smoked a regular cigarette since. They’re the only ones I’ve tried and actually liked. I’m glad I found the website, because I have to drive 45 minutes , just to get a new battery. So my first online order was for 10pack refills and a replacement battery. It was strange using a blue battery and white and green refill cartridge, but I guess there’s nothing I can do. The only real complaint, is that I have to charge the HAUS battery at least 3x more than the original white batteries sold in the beginners kits. 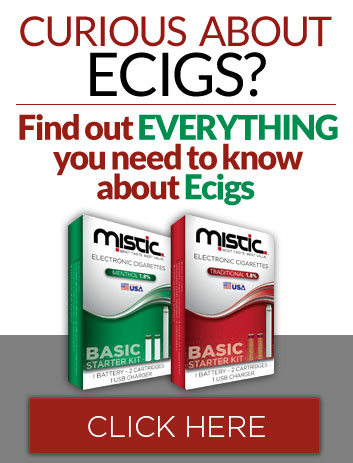 I would still be smoking cigarettes, if it weren’t for Mistic! Been on mistic e- cig now for three years and my husband has for four years. Don’t like the blue batteries wish you still had the white ones. Can I still order the white ones??? Have been really happy with Mistic, and haven’t had a traditional cig in 9 months. The only reason I have another brand that I use is because I don’t care for the blue battery. Tried one, and I had to draw much harder, and it messed with the feel and flavor. Thought maybe it was a fluke, and got a second blue battery only to find the same issue. If Mistic brought back the orginal white battery, I would never buy from anyone else. Love mistic E-cig products. Can’t find them in the stores anymore. And it’s very convenient ordering on line. Holds good charges for a long time. I’ve used Mistic E CIGARETTE’S for 5 years now. They work! Happy with batteries and need more. cant find any store that carries just the replacement battery. like the white ones 10-1 over the blue ones. have to drag really hard on the blue ones. Can’t find batteries in stores!!!! The batteries are only sold individually online. In stores, they are sold in Starter Kits. Better than any other e-cig I tried. The white batteries are great. I did NOT like the switch to blue batteries. They did not work nearly as well. These are excellent. I like it a lot. Wish you can buy battery in local stores. In the past I never had a problem with the batteries but with my last order I received defectives. Didn’t last a week. This is a good product, but I have to purchase them often because I keep misplacing them. I like to keep several on hand. It’s so hard to get the e cigs anymore. Why? When u try to order them they are always sold out. Best ones I am using after trying many different ones after Greensmoke went out of business.